Birthright is a totally free 10 day trip to Israel. Tour around this fascinating tiny country, see the heights of the desert fortress of Masada, float in the Dead Sea, be inspired at the Western Wall, and remember the tragedy of the holocaust at Yad Vashem in Jerusalem. Hike and swim in the beautiful north, go kayaking in the Jordan River, and see the Kinneret (Sea of Galilee). We also get a chance to spend a night under the stars in Bedouin tents in the desert. Discover Israel, connect with Judaism in whatever way feels right, and make friends who will last you a lifetime! Registration for the Winter trips opens in September. Registration for the Summer trip opens in February. You can pre-register today at umass2israel.com. Like the UMass Free Trip to Israel Facebook page to stay updated! For more info contact Ashley Nalven, UMass Hillel IACT Coordinator. This free trip is sponsored by Taglit Birthright Israel, Israel Outdoors, CJP, and UMass Hillel. What do past trip participants say? "Who knew Israel had waterfalls?! Standing under the stars in the middle of the desert, seeing the sunrise at Masada, and floating in the Dead Sea are just a few of the many unforgettable moments I experienced on Birthright. It was an amazing ten days in Israel and I wish I could do it again." 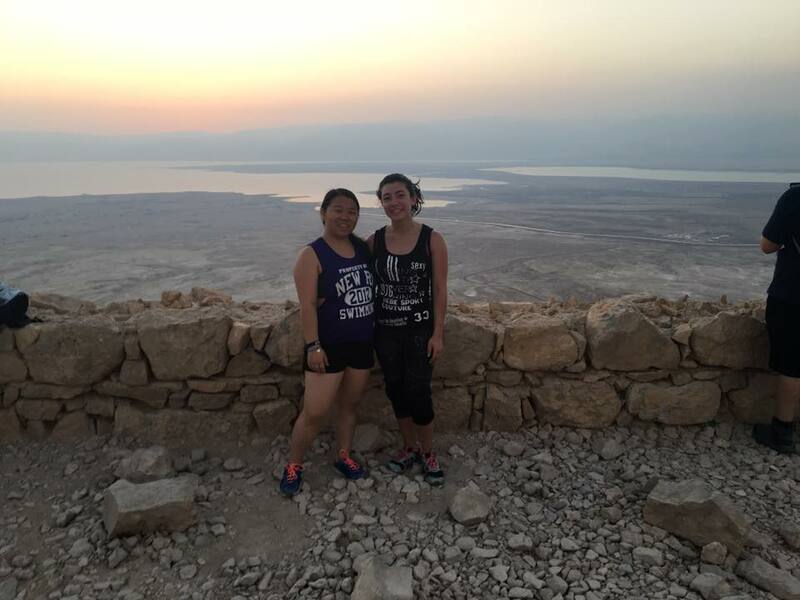 "Going on birthright was such an incredible experience. Being able to explore the religion and culture of Israel with my peers was such an amazing way to get to tour Israel. Through this trip I gained friends, knowledge, and more insight into how I want Judaism to be part of my life. I am so thankful for this trip and I will never forget it!" "Israel. One of the most mystifying and commonly misconceived nations in the world. How can a country the size of New Jersey be that interesting you ask? I was lucky enough to embark on a trip to Israel for my second time this May. Israel radiates an intangible feeling that is indescribable without experiencing it firsthand. This feeling gives people of Jewish descent a sense of belonging. For many non-Israeli Jews, including me, being Jewish rarely leaves you in the majority. Venturing to the center of Judaism with 40 classmates in a relaxed and comfortable setting allowed for deep religious and spiritual discussions as well as introspective searching. I feel strongest about my connection to Judaism while in Israel, and I am not alone in this sentiment. It is hard not to while traversing the deserts that biblical figures wandered or perusing through the ancient cities that laid host to such a magnitude of rich history. Growing up in an interfaith family, Judaism and being Jewish was always an afterthought. Birthright was the tipping point on the scale where I finally understood that I was not obligated to, but rather lucky enough to call myself Jewish. If you’re orthodox or reform, questioning your religion, or even “half-Jewish,” I highly recommend going Birthright. You may not feel the same connection to Judaism I experienced, but at the very least you will get an amazing vacation to one of the coolest countries in the world."